Good rip-off. Tri-Bezel-Less display, dual camera, 6 GB RAM: at first glance, these specs are very impressive, but a look behind the curtains reveals some weak spots. We will find out if it the Doogee Mix smartphone is still a good value for the money. All-in-all, we just can’t recommend the Doogee Mix for anything other than a portable media player or gaming device. If you’re always connected to Wi-Fi it will do great, but if you want to pop a SIM card in it, you’ll be limited to AT&T‘s 3G network. For those reasons, we’ll have to tell you to pass on this one. There’s plenty to like about the Doogee Mix. The display, while only 720p, is bright, colourful and detailed, plus the slim bezels make it seem bigger than the actual 5.5in size. An unfettered Android experience is welcome, and the battery life means you’ll make it through the day without a problem. Doogee has removed a few newer features to make room for a lower price and great battery life, and it’s hard to fault them for that. If you want to pick a phone up as a backup, this is a great option, otherwise, you’ll probably still enjoy this as a daily driver, even if it doesn’t have all those shiny bells and whistles. Doogee Mix review: A bezel-less smartphone on a budget? Overall the Doogee Mix has a lot to offer at this price but there are few shortcomings that a user should consider before buying this phone. It offers a great look with decent performance and big display all backed by a decent battery life. DOOGEE made a decent low budget bezel-less phone for the overseas market here. It should appeal to a lot of people but it does have some pitfalls. 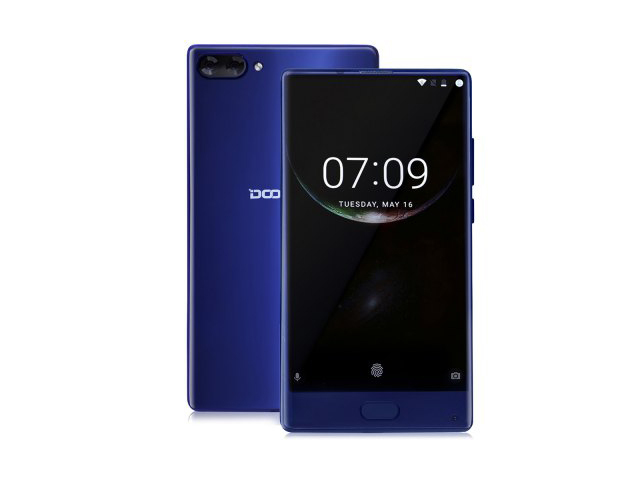 Reviewing the Doogee Mix has been a rather different experience from what we're used to and unless you cross beyond a particular buyer's mental threshold, shopping for one will be as well. There’s a lot to like about the Doogee Mix: it’s the only phone that has 6GB of RAM in its price range, has thinner bezels and better screen to body ratio than its contemporaries and has excellent battery endurance. There’s a lot of things to hate as well: that oversaturated display is tiring to look at, dismal camera performance when there’s not enough light and the underperfoming bokeh feature are annoyances that you’ll have to deal with if you decide to spring for the Php 12,995 for one. It might sound like a Neil Patrick Harris character, but DooGee is no joke - keep your expectations realistic and the Mix will pleasantly surprise you. With the Doogee Mix, the Chinese manufacturer has succeeded in making a good mobile phone. Due to the small edges around the display, it is visibly different from the competition. In addition, the processing quality of the smartphone is convincing. The performance is sufficient for most applications and provides enough room for multitasking thanks to 4GB of memory. The SuperAMOLED display convinces despite its low resolution with a bright and colorful image and the battery life is sufficient for most usage profiles. Even the full LTE support in Pakistan, as well as the clean Android 7 system, represent pro arguments. The processing performance is also said to be as expected. I posted the score of Antutu, but I think that it will not feel power shortage unless there is much if it is this score. Just like most Chinese manufacturers, the Doogee Mix runs a modified version of Android Nougat that they’re calling Doogee OS 2.0. We’re not a fan of the icons used on the phone, which is pretty, well, dated, but the good news is you can just replace it if you want to something that’s closer to your taste. The Doogee Mix is the kind of device that you will love and hate. You’ll love the great screen-to-body ratio and design, capable processor, the large RAM and starting storage, fingerprint scanner, above average battery, and Android Nougat. What can disappoint you though is the low-resolution screen, the mediocre cameras, and the ugly UI. What could be its most redeeming quality is the low asking price of Php9,995. For those looking for a smartphone reminiscent of the Xiaomi Mi Mix without breaking the bank, here it is. At $200 or less, the Doogee Mix is fantastic value for money. It might not be entirely bezel less, but it’s close. The camera is decent, there’s some good power under the hood, and it feels premium. Just get rid of the default launcher, and you’ll have a solid device. Check LTE bands for your carrier before purchasing, though. I was not looking forward to looking at the Doogee Mix phone. I reviewed the Doogee Shoot 2 and was underwhelmed by its performance and features. Positive: Stylish design; great built quality; low price; decent dual cameras. Positive: Nice display; good price; high autonomy. Negative: Poor cameras; poor display. Positive: Great built quality; decent cameras; good hardware; long battery life; good price. Positive: Good price; beautiful design. Negative: Slippery. Positive: Nice design; fast fingerprint sensor; excellent display; good hardware; decent autonomy; support LTE. Negative: Sim and microSD are on the same slot. Positive: Nice display; long battery life; solid workmanship; good price. Negative: Poor cameras. Positive: Decent hardware; low price; long battery life. Negative: Poor display; low performance; average cameras. Positive: Elegant design; good price; nice display; high autonomy. Negative: Relatively high price. Positive: Nice design; solid workmanship; nice display; good performance. It seems like the bezel-less craze is starting to trickle down to smaller android manufacturers too, with the likes of market giants such as Samsung and Apple trying to popularize this trend. So, what does the Doogee MIX have to offer other than its tacky brand name? For the uninitiated, the Doogee MIX sports a Helio P25 SoC with 6GB of memory and 64GB of internal storage plus the usual microSD expansion options and not the least a rear 16MP and 8MP combo camera with also a 5MP front facing camera. Naturally the first thing that sticks out to users is its almost missing bezels barring the bottom section, it should be noted unlike one of its competitors the Doogee MIX does have enough of a bezel to fit an earpiece without resorting to bone conduction tech which can be found in devices such as the Xiaomi Mi MIX. For one thing, the chassis design and materials all feel premium with your usual aluminium and brushed matte appearance although the back cover is more of a well-polished high-quality plastic which does look glass-like when viewed from a distance. Because of its design DOOGEE was able to cram the same 5.5” display as the Iphone 7 plus all while being smaller is quite impressive. Although the same can’t be said for the display’s actual resolution which is only 720p. This is however offsetted by the Super AMOLED display which remains as the most vibrant panel type you will ever see. As with most devices the Doogee MIX is preloaded with Android 7.0 Nougat and is almost bloat free barring DOOGEE’s own custom skin which can be easily changed. Surprisingly even though this device is not powered by Qualcomm's Snapdragon the Helio P25 is still quite snappy although it wouldn’t be wise to push this SoC. In the aural department, the inbuilt speakers on the Doogee MIX is about decent, nothing great but otherwise a pair of headphones is highly recommended if you wish to listen to music. Moving on to the camera’s its quite nice to see that DOOGEE was able to feature a dual camera setup which is normally found in higher end phones like the Iphone. But keep in mind in terms of quality the dual cameras are nothing like the Iphone’s as they are a little on the dark side, this includes low light performance which is somewhat abysmal but then again as with most budget devices users should know where their expectations lie. When it comes to battery life the Doogee MIX is actually able to perform with its 3380mAh battery which may not be the largest but with things like the screen resolution being only HD the Doogee MIX is actually able to last a few days on light usage, naturally if you were to game on the phone the battery life will sink like a rock. In the end it seems like Doogee has made a somewhat hit and miss budget device which should appeal to a lot of people who knows how to set their expectations. ARM Mali-T880 MP2: Mobile graphics solution for tablets and smartphones, which can be found in ARM SoCs (for mostly Android based devices). The Mali-T880 can be built with 1 to 16 clusters, where the MP2 version features 2 clusters/cores. Non demanding games should be playable with these graphics cards. » Further information can be found in our Comparison of Mobile Graphics Cards and the corresponding Benchmark List. Helio P25: ARM based octa core SoC (8x ARM Cortex-A53) clocked at up to 2.6 GHz. The chip also includes a Cat.6 LTE modem. » Further information can be found in our Comparison of Mobile Processsors. 76.64%: This rating is not convincing. The laptop is evaluated below average, this is not really a recommendation for purchase.